Investor Perception Audits: Can You Handle the Truth? Perception Audits: Can You Handle the Truth? An investor perception audit – a formal survey of buy-side investors and sell-side analysts, typically conducted by an independent third-party – has become part of the standard investor relations activities for many public companies. Done properly, a perception audit should highlight the good, the bad, and the ugly about a company’s IR efforts and its reputation on the Street. While many companies shy away from asking the tough questions, we would encourage companies to seek both positive and negative feedback, and to actively address any concerns that are raised. 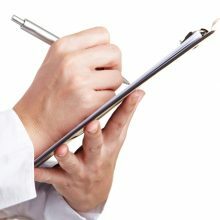 Measuring Effectiveness: Perception audits are great for measuring the effectiveness of IR practices. Your corporate strategy may be on target, but aspects of it could be getting lost in translation when you communicate with the Street. An audit can highlight ways to improve your corporate messaging and to market your business more successfully. Assessing Disclosure Levels: Understanding what investors appreciate in your disclosure and where you have the opportunity to be more transparent can be key. Importantly, determining how relevant your metrics are to the Street can be helpful as you craft your financial message. Management Perception: Audits can be a valuable resource for the board of directors to use as an objective analysis of management as well as a vehicle to collect feedback on the management team’s credibility and reputation on the Street. Audience Segmentation: A well-structured perception audit will allow you to identify differences in perspective, sentiment, or expectations between the buy- and sell-sides, between current shareholders and non-shareholders, and between the largest buyers and largest sellers in recent quarters. Investor Day Preparation: Perception audits can be used to help plan an investor day, providing you with an objective roadmap of what subjects to focus on, what information to present, and how to make the day as productive as possible. Building Credibility: The investment community values being asked for its opinion and views conducting a perception audit as an indication of the management team’s interest in improving. Design your survey with the aim of eliciting meaningful feedback. Make sure your survey sounds sincere, and will encourage investors to respond thoughtfully and honestly. Above all, avoid the tendency to ask leading questions. Don’t ask questions that you don’t want the answers to. You score points with the Street by showing them that you are listening, and by being willing to act on investor feedback by implementing suggested changes. Be mindful of timing. Avoid conducting perception audits during earning seasons and regular busy periods, before major product launches, and in advance of any announcement that will require you to change your guidance. As these events can adversely impact the quality of your results, it is always best to wait for the right moment. Consider that a perception audit attempts to capture a snapshot in time. Responses may therefore be biased by recent financial and operating results. If you’ve been beating your estimates and your stock is up, you’re unlikely to get a lot of negative feedback, and vice versa. Try to keep things in perspective. Even if you are simply seeking perspectives on how your messaging is being interpreted, the feedback you receive can be quite personal in nature. Don’t take responses personally; there will always be room for improvement. Investor perception audits are important investments of time, capital and resources in your company’s IR strategy. Westwicke offers perception audit services, ranging from developing an investor sentiment strategy to conducting and interpreting the audit. Contact us for more strategic information that can help with your IR decision making, and sign up for our newsletter to learn more about perception audits and other IR-related topics.